Hiflo filters are the best selling aftermarket filters for motorcycles worldwide. With over 50 years experience, Hiflo manufactures filters which offer great performance and enough strength that they can withstand pressure four times greater than that of an ordinary motorcycle, scooter or ATV engine. metal cap ends in place of paper, and a stainless steel mesh to hold the paper – making them more withstanding of moisture and thus longer lasting. Hiflo filters go through 16 checks before leaving the factory. They are TUV approved and meet all OEM specification for efficiency, flow and filtration. 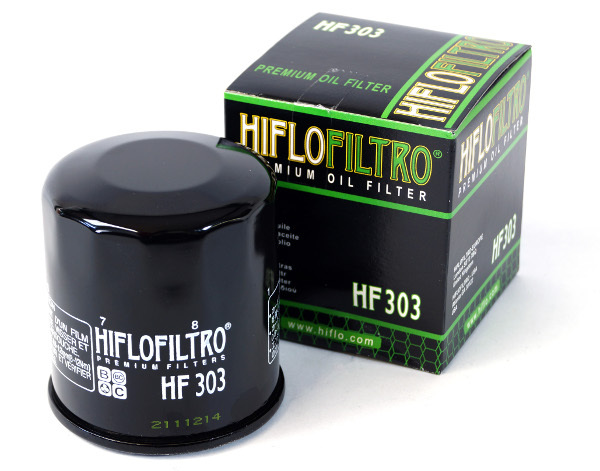 The Hiflo oil filter range includes standard and chrome oil filters, as well as racing oil filters, which are developed specifically for top level race use. Hiflo air filters are a direct replacement for OE filters and are manufactured to fit the factory air box.